Working out can be tedious, especially if you’re facing a plain wall. With the Bodymax R50 Rowing Machine, you can have a different view every time as it can be easily moved around at only a weight of 16.8kg. Despite being lightweight, it can support a maximum user weight of 100kg, so it’s still stable and safe to use for various people. People who purchased this rowing machine are also happy about how easy it is to assemble and how fast it was delivered to their doorsteps. In case you didn’t notice, the Bodymax R50 Rowing Machine isn’t equipped with a flywheel, so it doesn’t offer any magnetic resistance. Instead, it has an elastic rope that simulates a rowing motion but doesn’t provide enough resistance for an intense workout session. It has a 4-way adjustable resistance which allows you to increase the tension by pushing or pulling the handles on the side. For the novice users, this machine will provide enough room for improvement, but for fit people, this won’t be able to satisfy your needs. Even at a budget-friendly price, this rowing machine was designed with comfort in mind. It has a large and smooth gliding seat as well as large footplates with safety straps. No matter what your foot size is, they will surely fit on the Bodymax R50 Rowing Machine, and its adjustable velcro straps will keep them in place. The handlebar is also covered with soft foam, so each stroke is comfortable. Although it doesn’t have the ability to measure your heart rate, this rowing machine can still measure your time, scan, count, total count and calories burned. Right after finishing your workout, you can easily keep the machine out of sight because it folds upright and has transport wheels. This is helpful especially if your space at home is at a premium yet you still want to have a personal home gym. Folding it in half won’t only save you a lot of space, but it will also keep the children in your house (if there are any) from playing around the equipment, which can possibly cause harm. 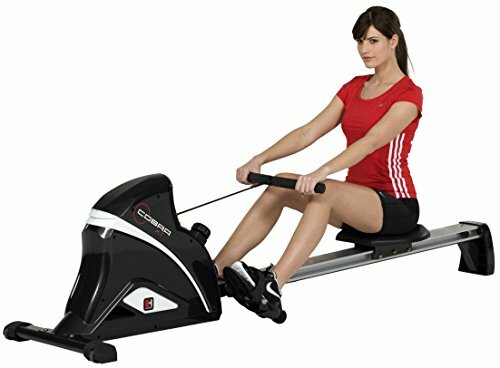 The problems that I noticed with the Bodymax R50 Rowing Machine is almost similar to those that I encounter with other entry-level rowing machines. First, its resistance levels won’t satisfy the needs of intermediate and advanced users. But if you’re a novice user or you’re looking for a gentle full body workout, this fitness equipment will suit you well. Another downside that’s also common among budget rowing machines is a non-backlit console which can be hard to read in low light conditions and even when under too much light. 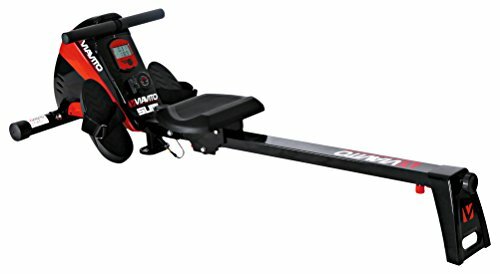 The Viavito Sumi Folding Rowing Machine is another budget fitness equipment, but it can satisfy even intermediate users. 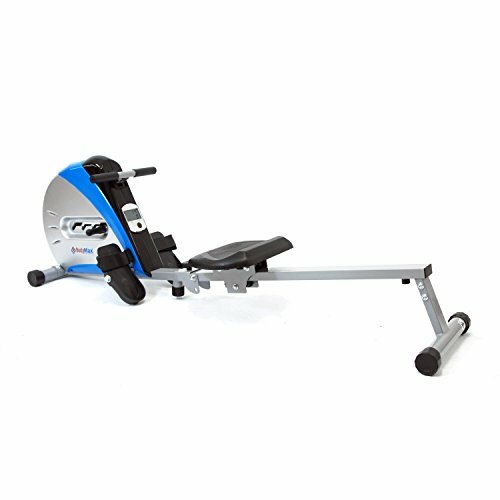 This entry-level indoor rower has a 7kg flywheel that provides you with ten levels of friction-free and silent magnetic resistance. As mentioned, a common problem with these kinds of rowing machines don’t have a backlit LCD console, but it’s the text is large enough to be read from afar. It only weighs 26.1kg, but it can support a maximum user weight of up to 120kg as its made of a durable tubular steel frame. The JLL R200 Rowing Machine is also an entry-level rowing machine that can accommodate users with a weight of up to 100kg. It’s direct belt-driven keeping each stroke smooth and quiet even at the highest level of resistance which is at ten. This may be a basic rowing machine, but it’s one of the most-sought-after in the market because it’s a bargain for the price. It feels solid even though it can’t provide an intense exercise. Plus, it’s comfortable to use with an ergonomic foam padded handlebar, soft seat, and secure footplates. 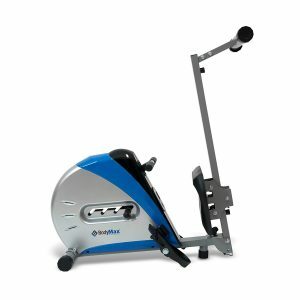 SportsPlus offers different rowing machines, but SportPlus SP-MR-008 Rowing Machine is their entry-level variant. It has an 8kg flywheel mass with a manually adjustable resistance up to eight levels. 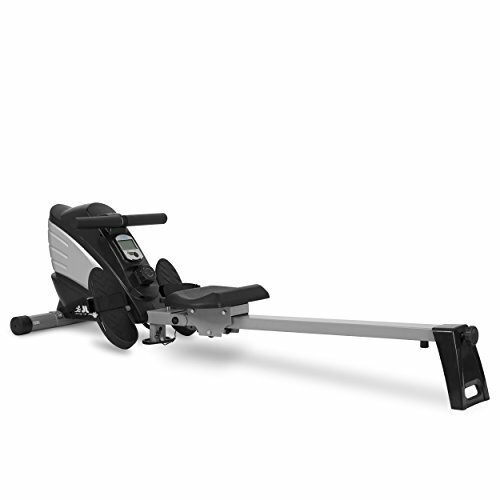 Unlike other basic rowing machines, the resistance on this model is said to be challenging even on the lowest level, making it suitable for all fitness levels. 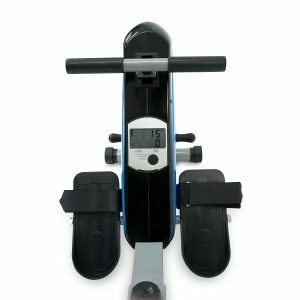 What makes this rowing machine unique in its kind is its inclination-adjustable training computer allows your data to be read from all angles easily. 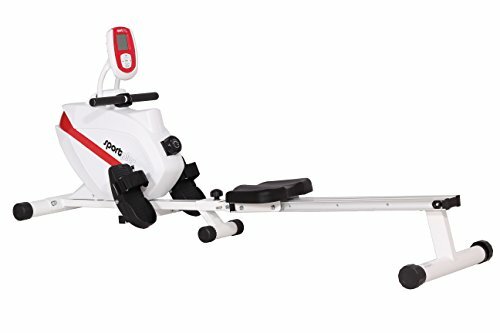 SportPlus SP-MR-008 Rowing Machine Detailed Review? CLICK HERE. If you have a bit more money to spend, you can opt for the Hammer COBRA XT Folding Rowing Machine for a more challenging workout. It has a maximum weight capacity of 120kg, and its 5kg flywheel can provide you with ten levels of resistance. This may not seem like a lot of resistance levels, but they can also be tough to handle even for intermediate and advanced users. What’s interesting about this rowing machine is that it actually looks like a Cobra when folded upright which probably why it was named as such. If you’re after a simple rowing machine that won’t be frustrating to assemble, the Bodymax R50 Rowing Machine will do the job. It’s budget-friendly, easy to control, comfortable to use, and it provides a gentle yet effective workout.